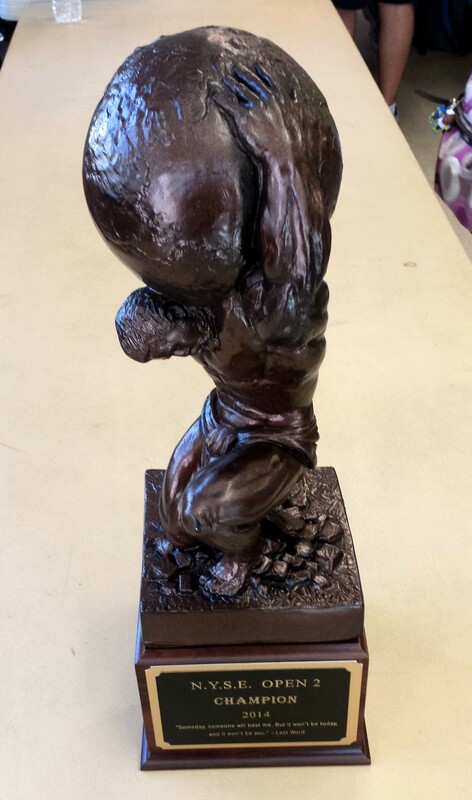 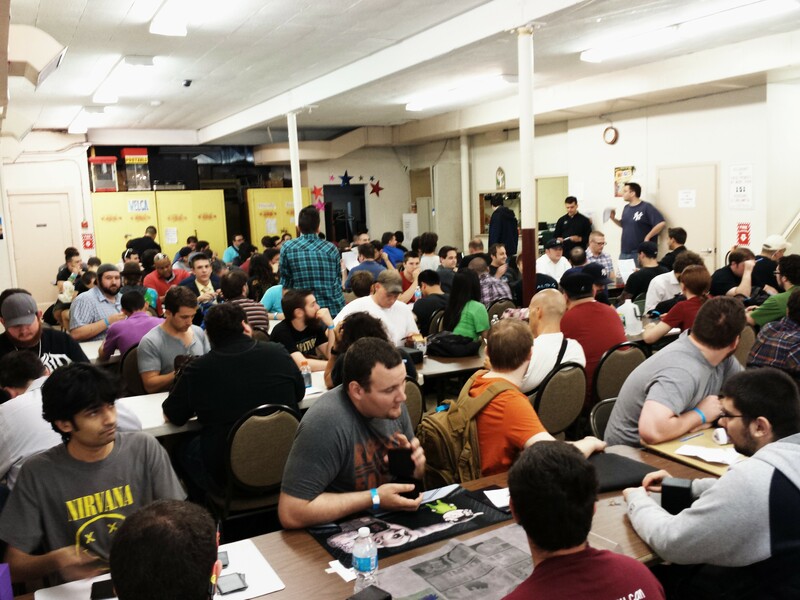 92 competitors have amassed in Levittown, New York (USA) for the main event at the NYSE II Vintage Open tournament. 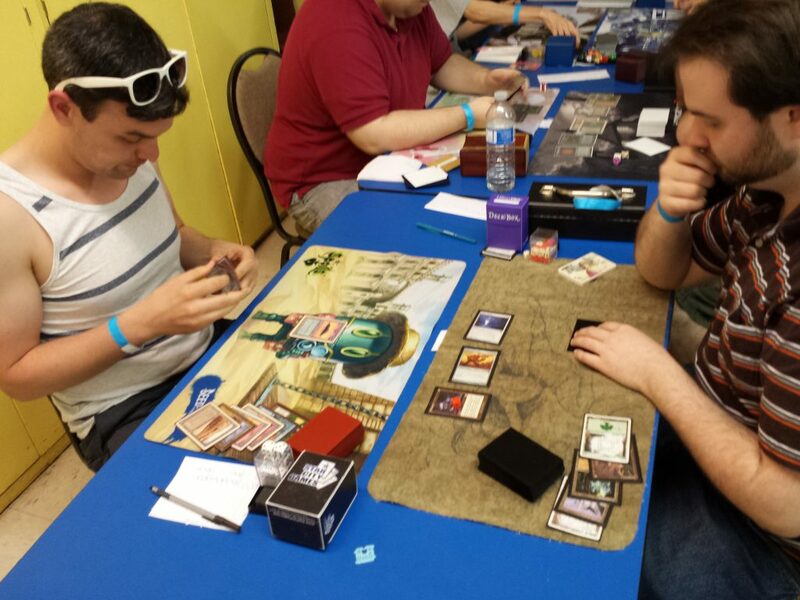 Hailing from the West Coast to the East Coast and everywhere in between, mages have descended upon the great state if New York to battle for Vintage supremacy. 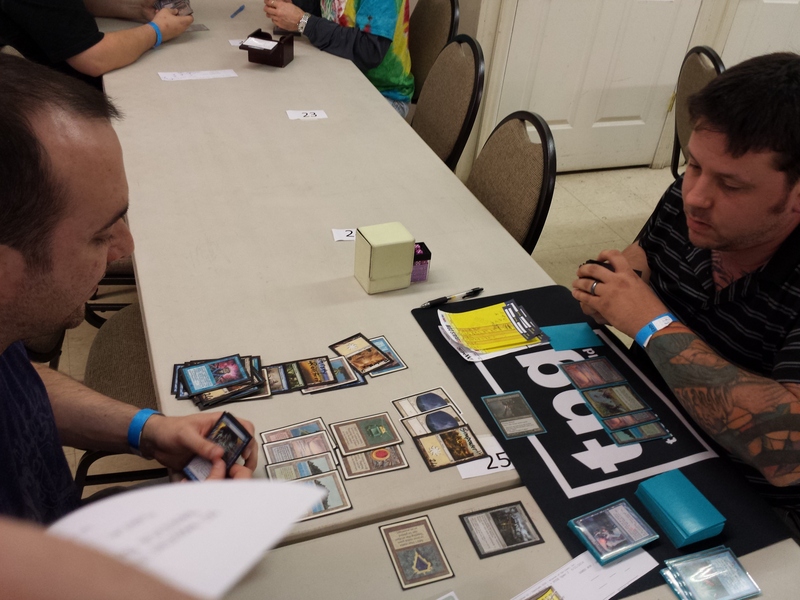 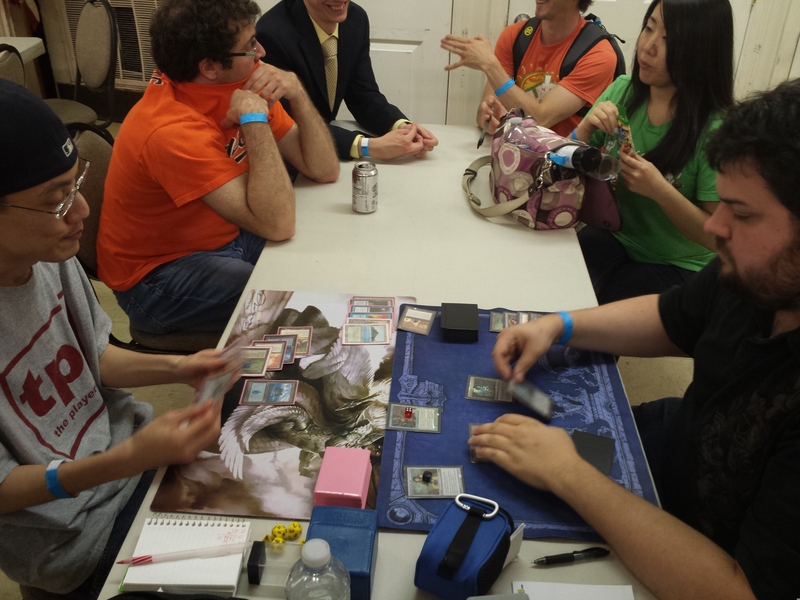 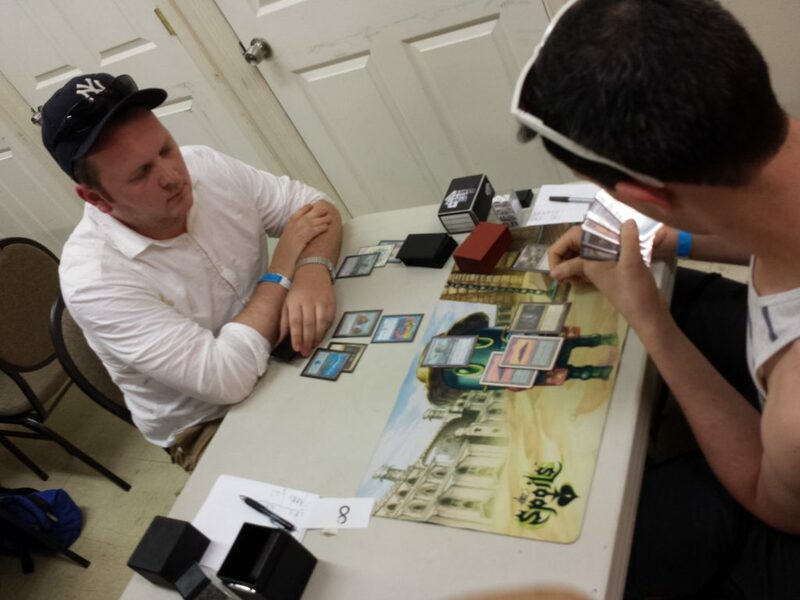 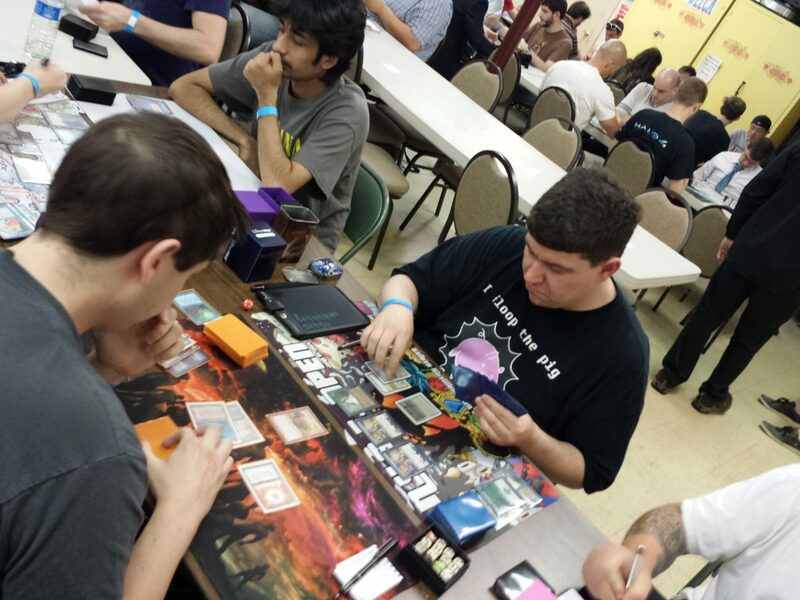 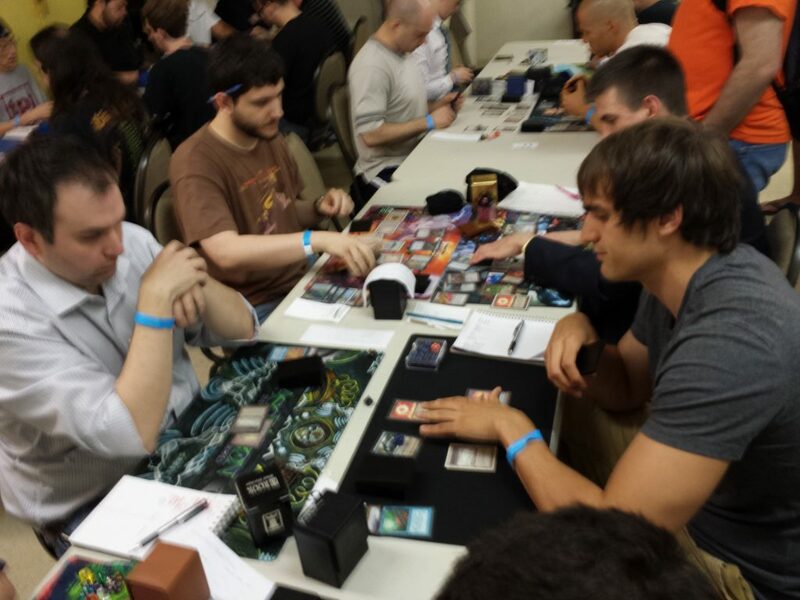 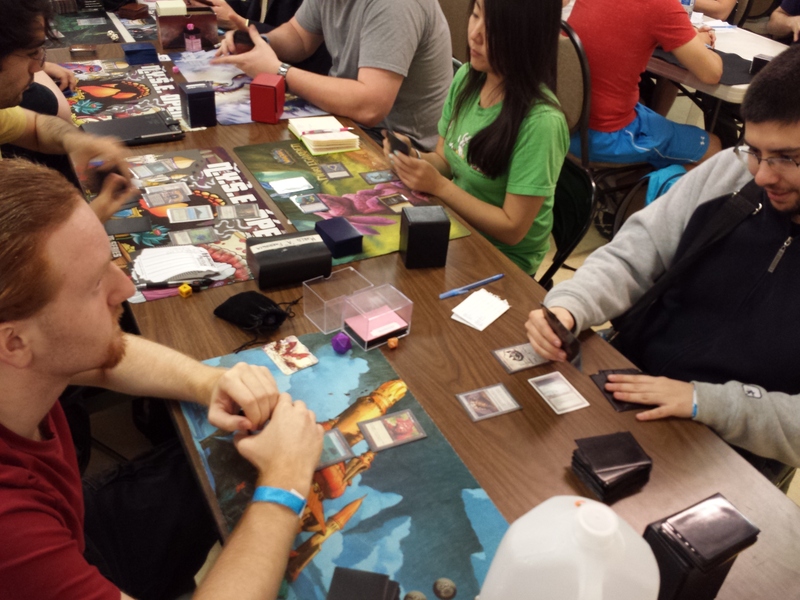 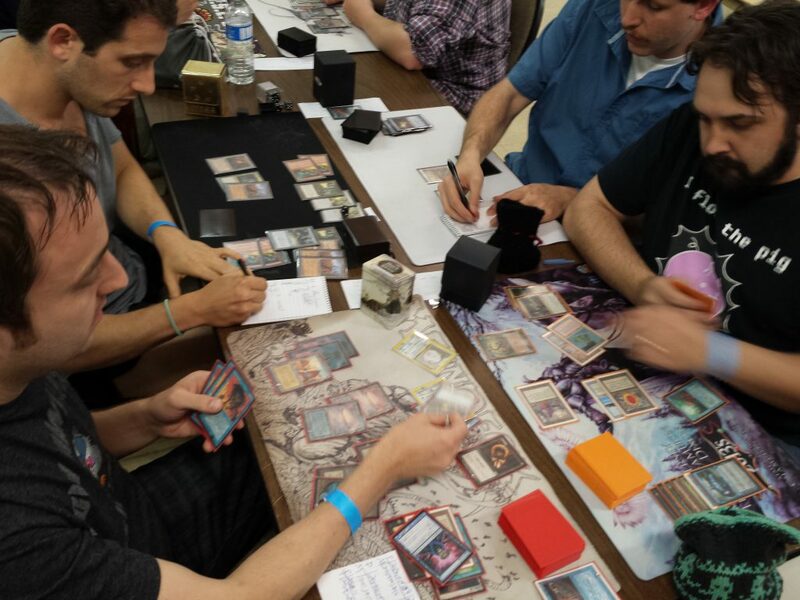 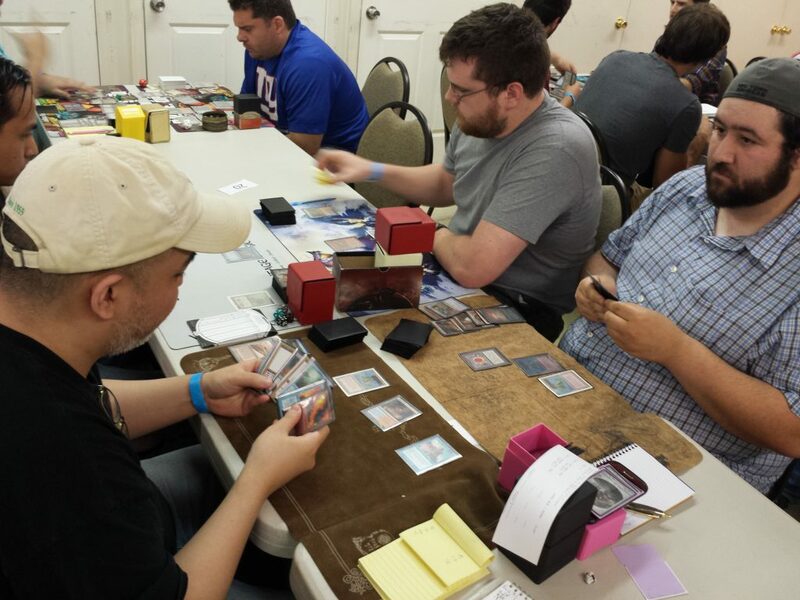 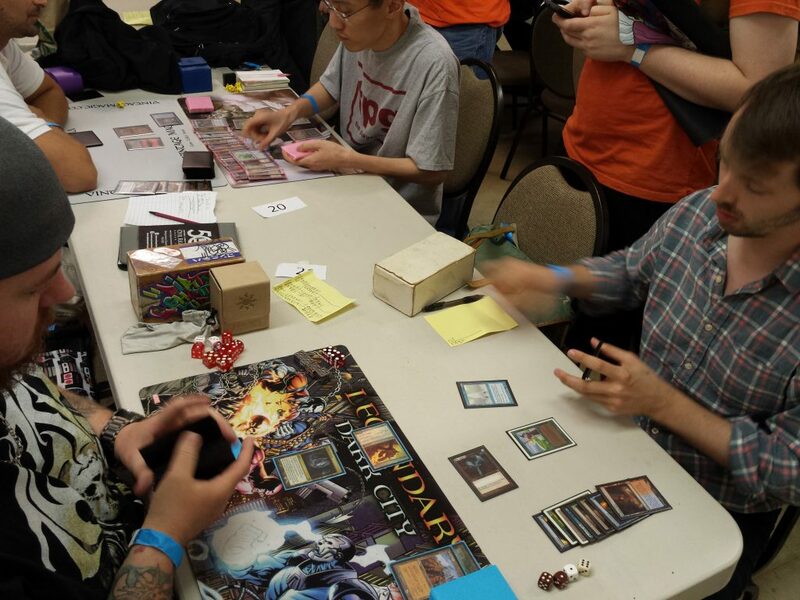 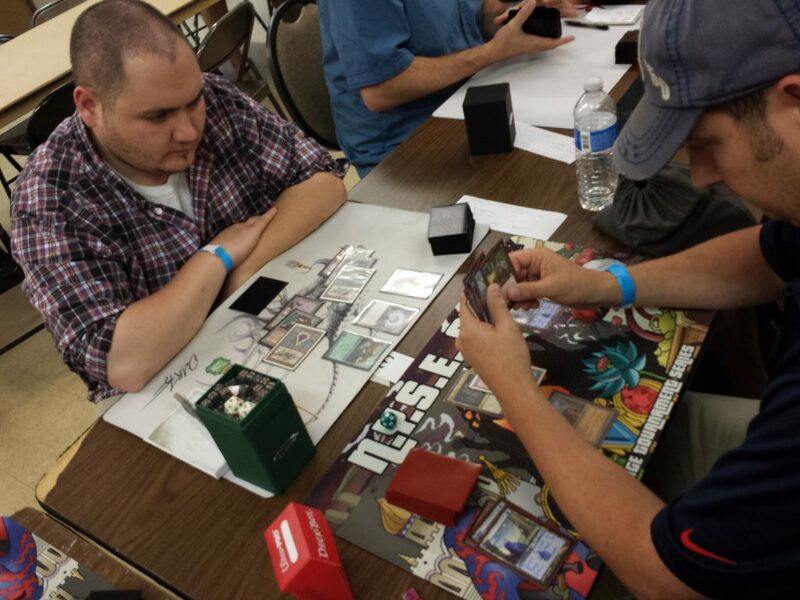 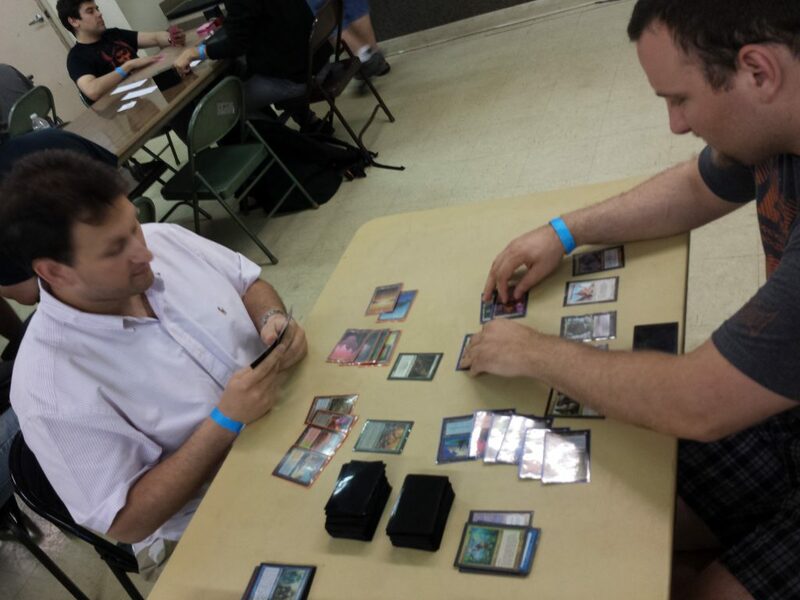 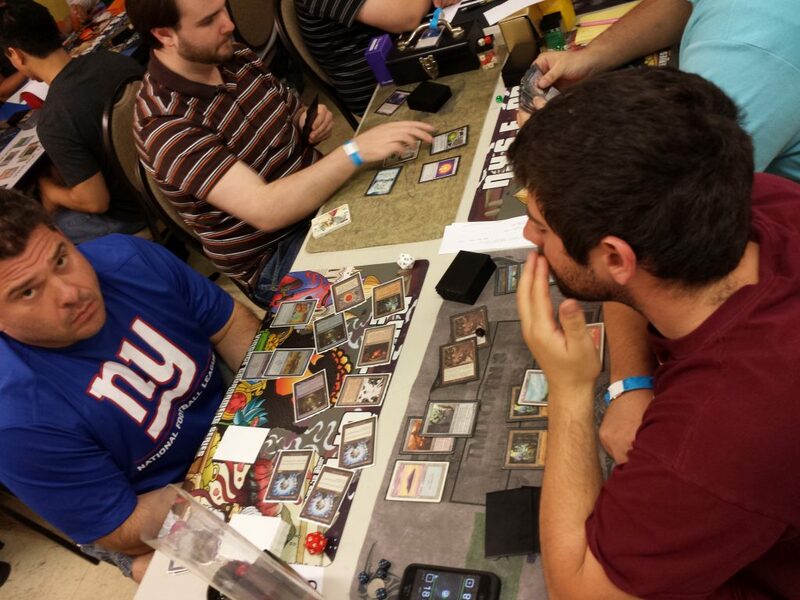 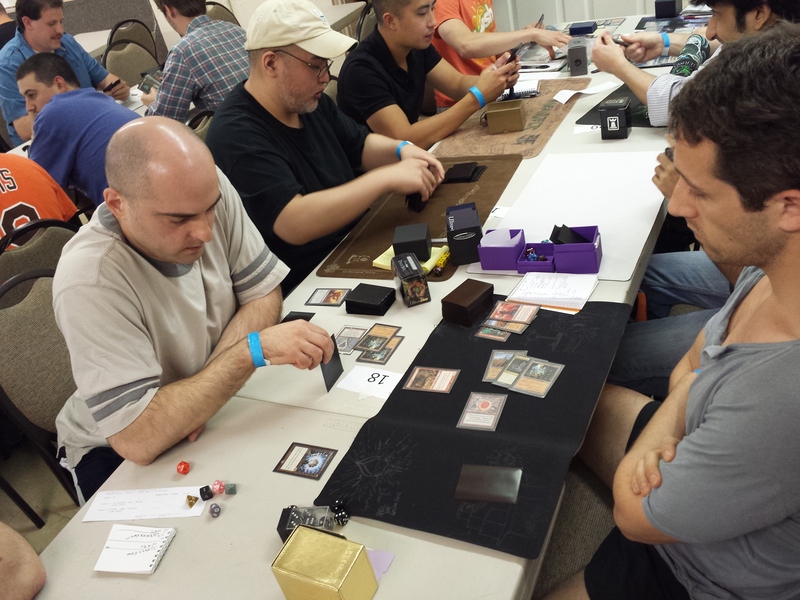 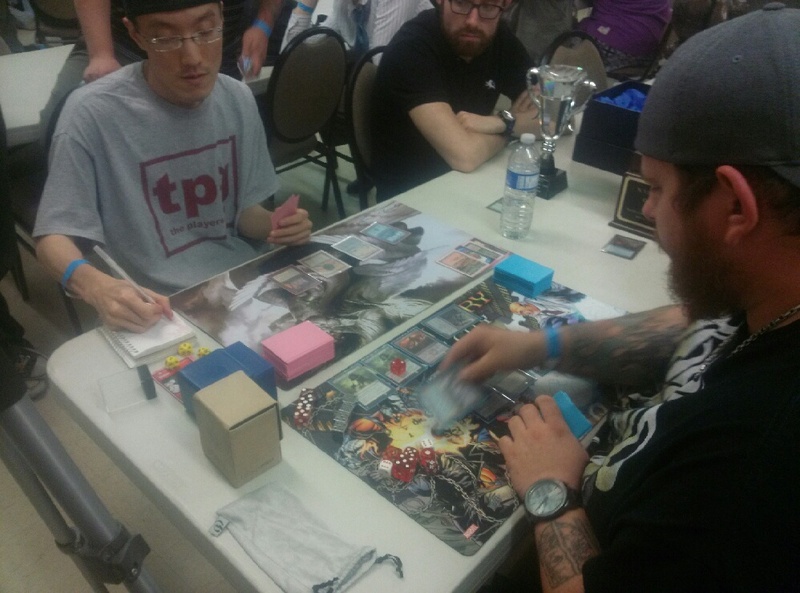 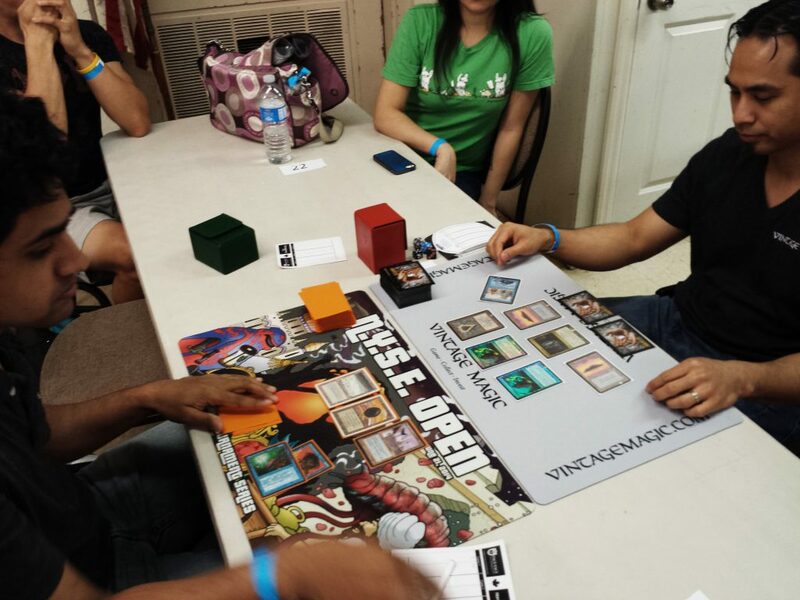 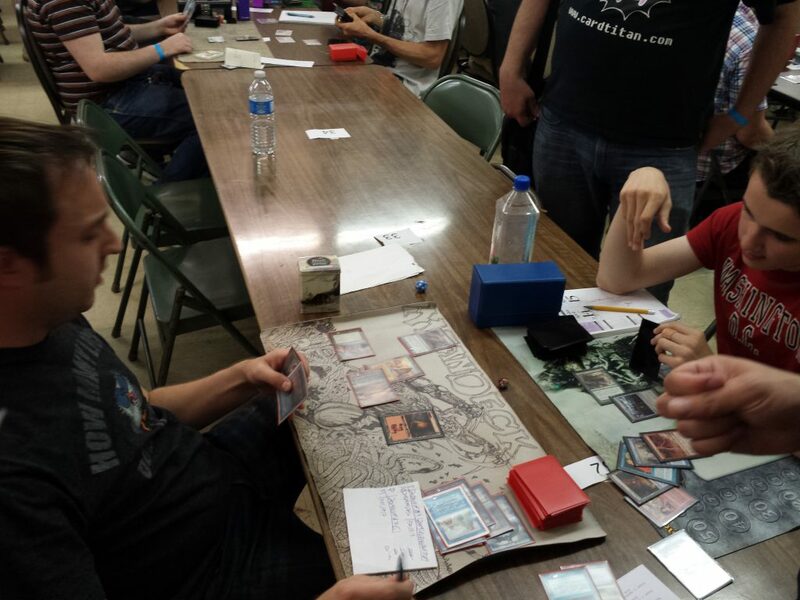 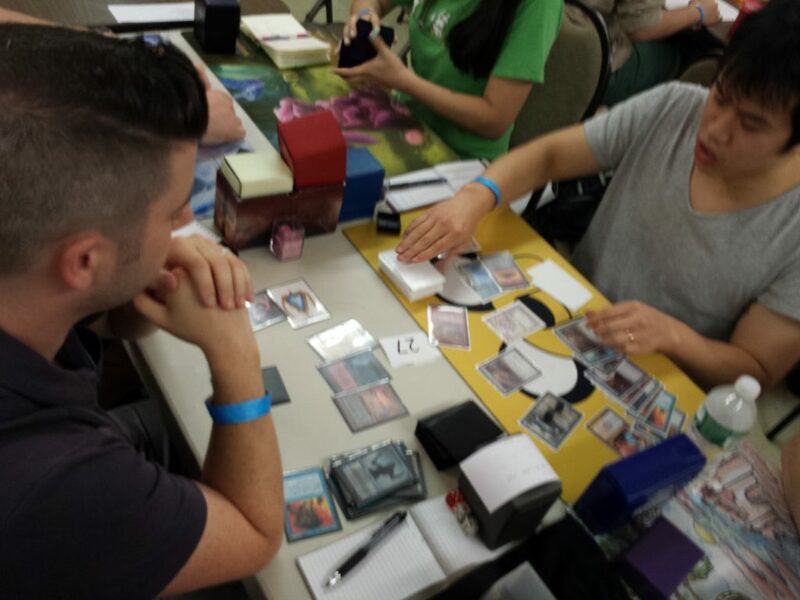 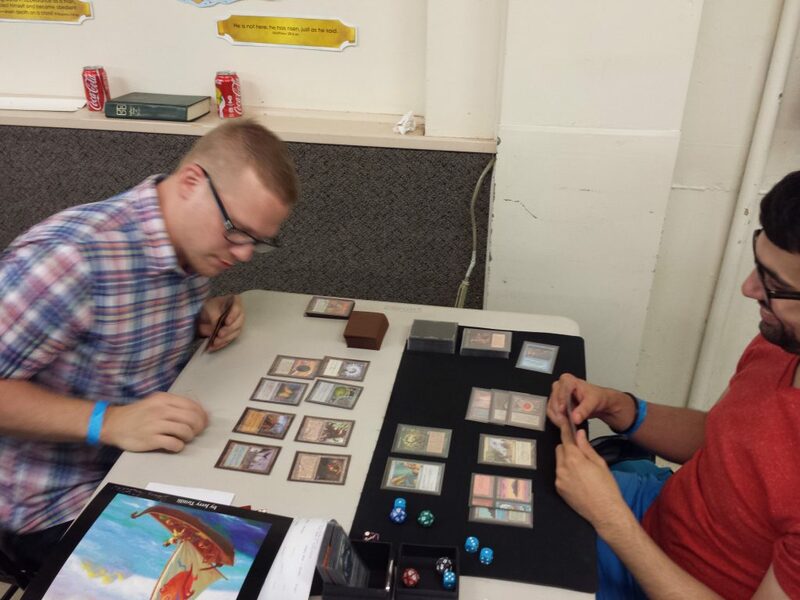 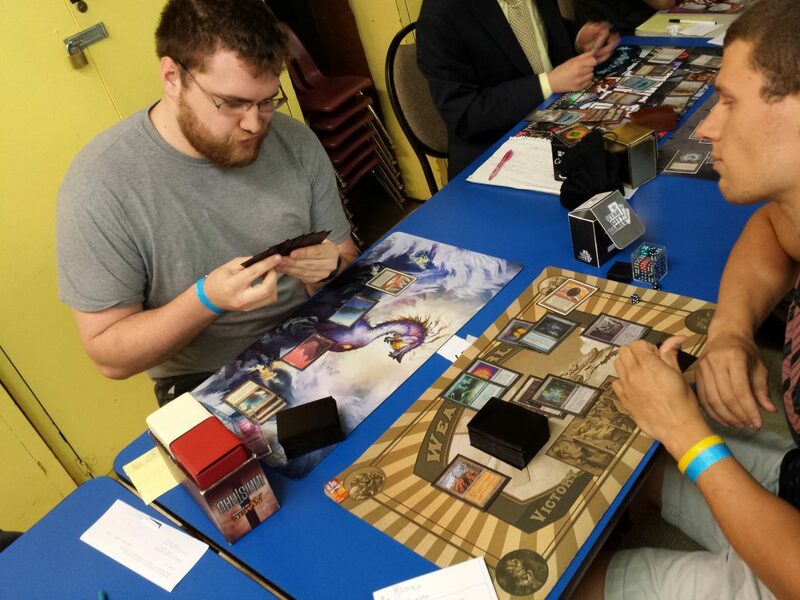 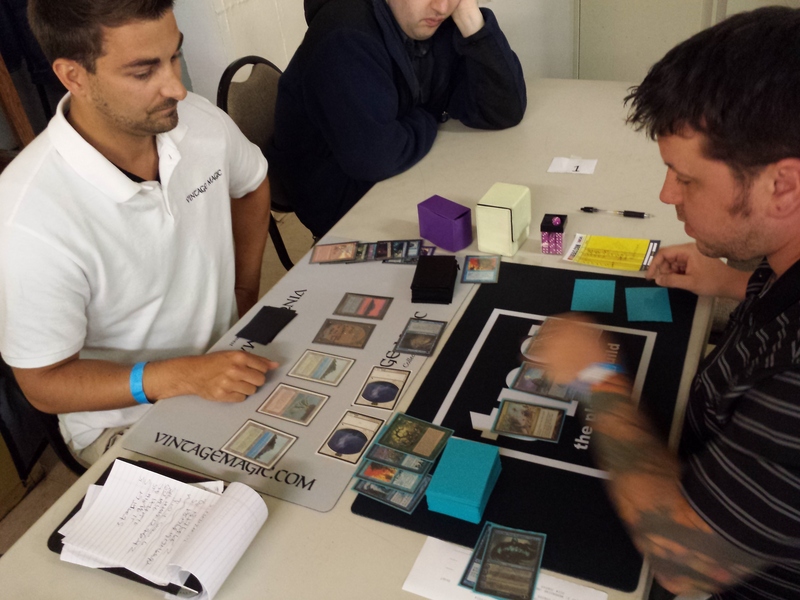 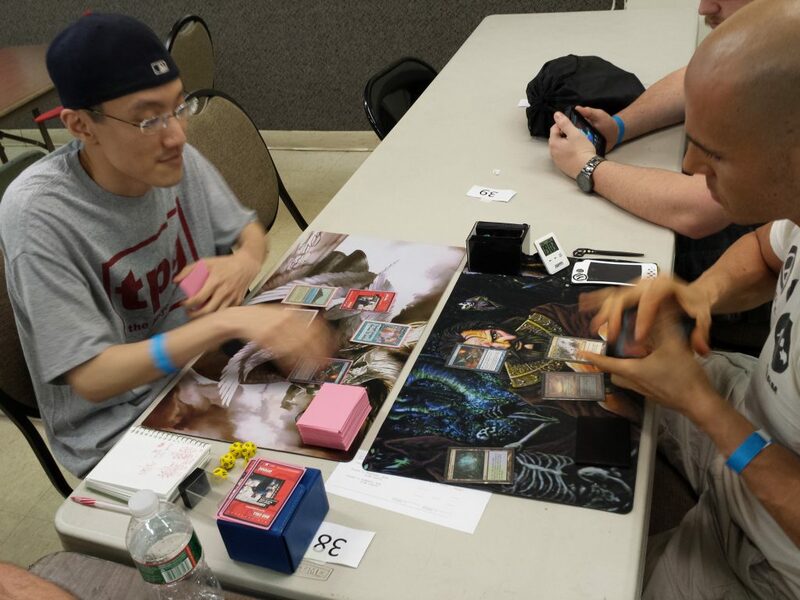 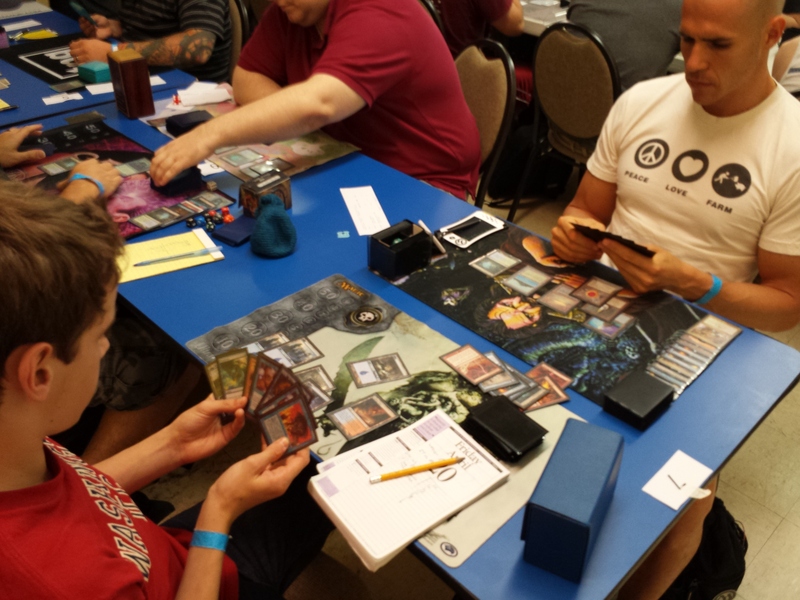 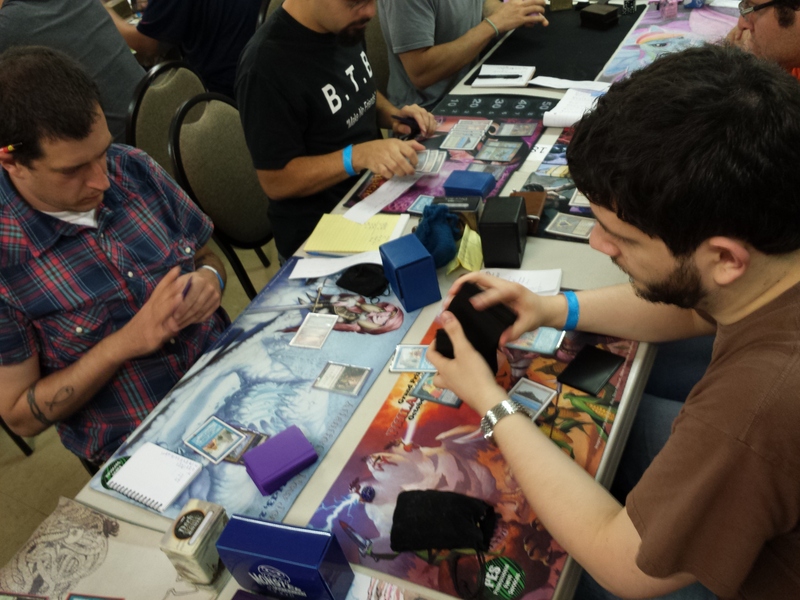 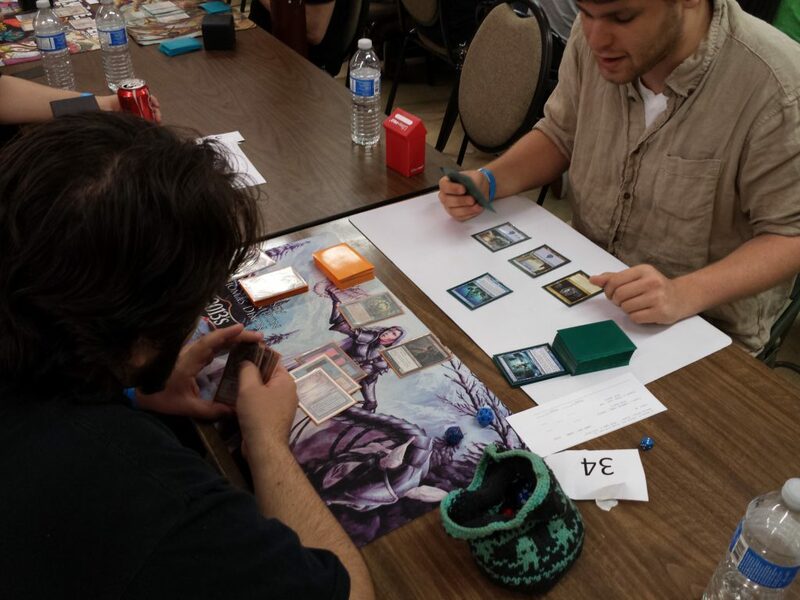 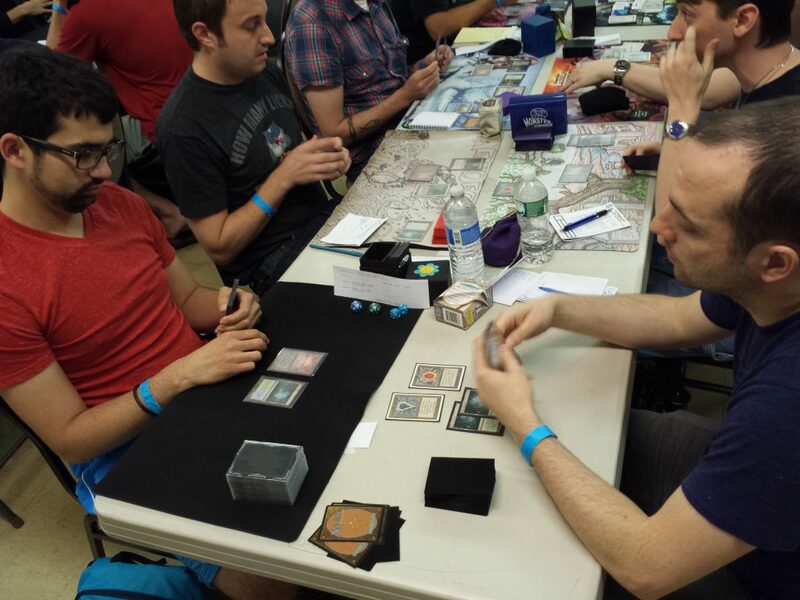 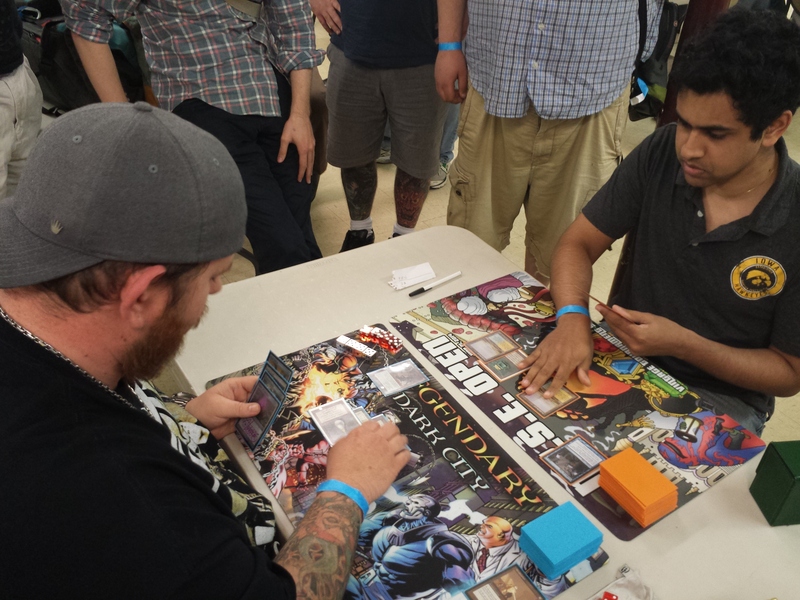 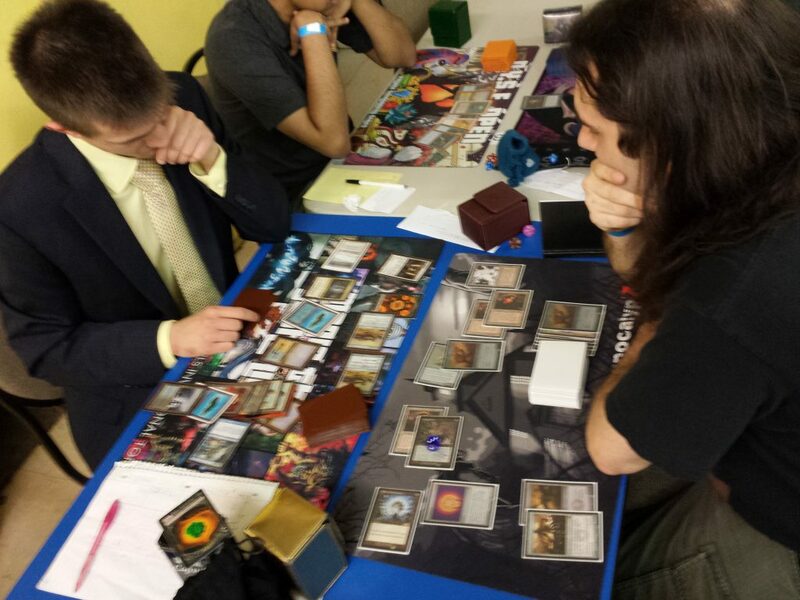 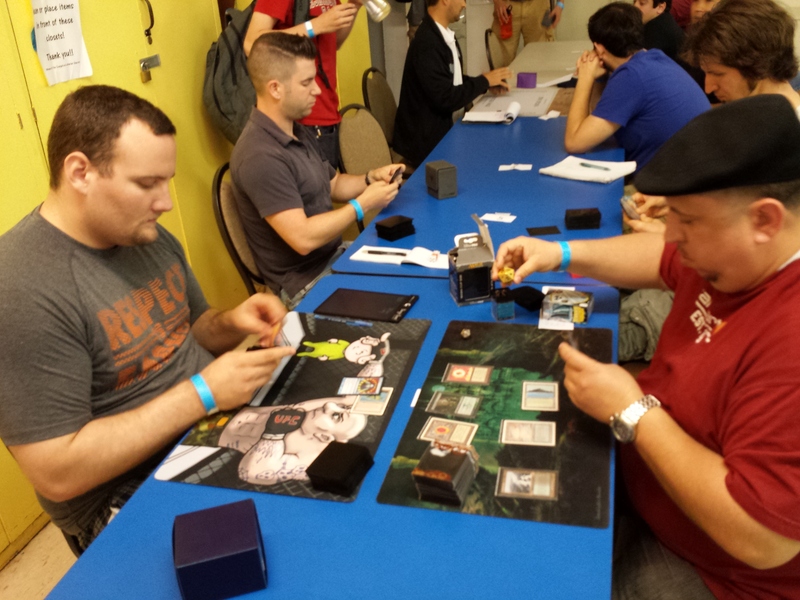 Legendary tournament organizer Nick Detwiler has hosted this tournament for two years in a row as a celebration of the highest level of Eternal Magic, and it is a sight to behold. 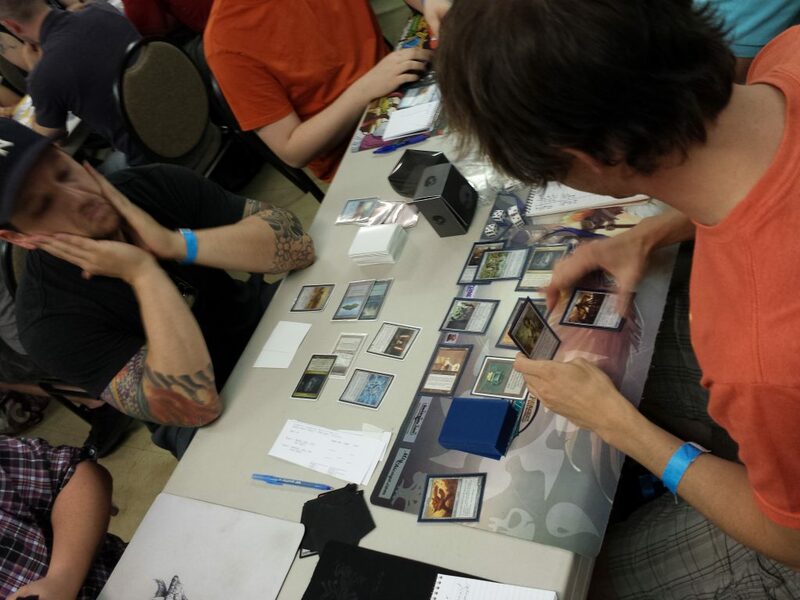 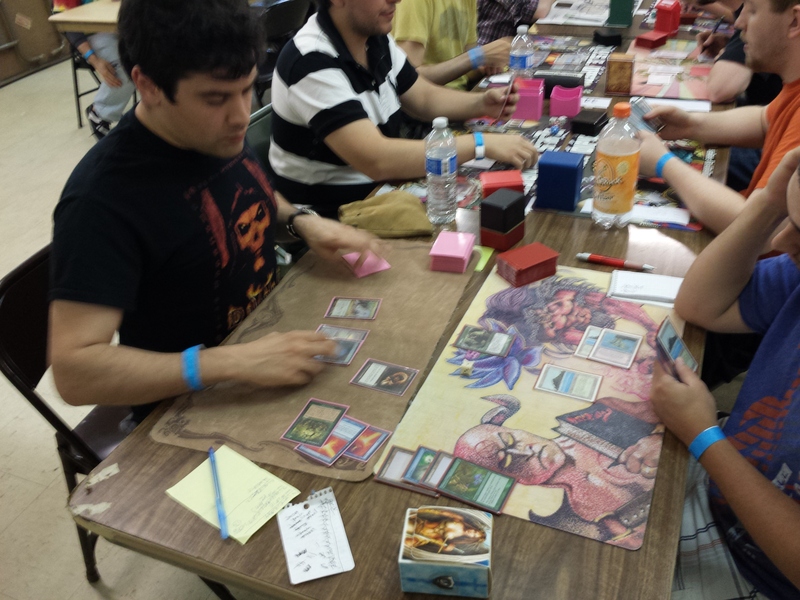 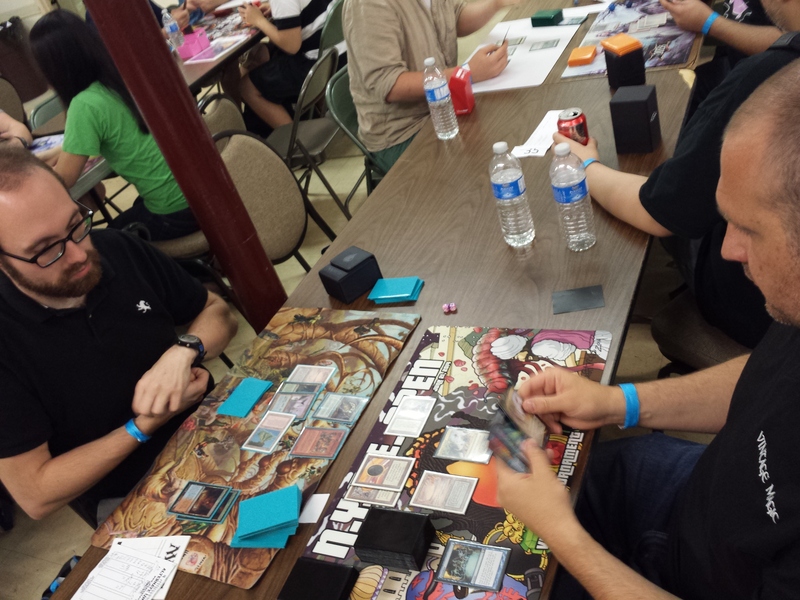 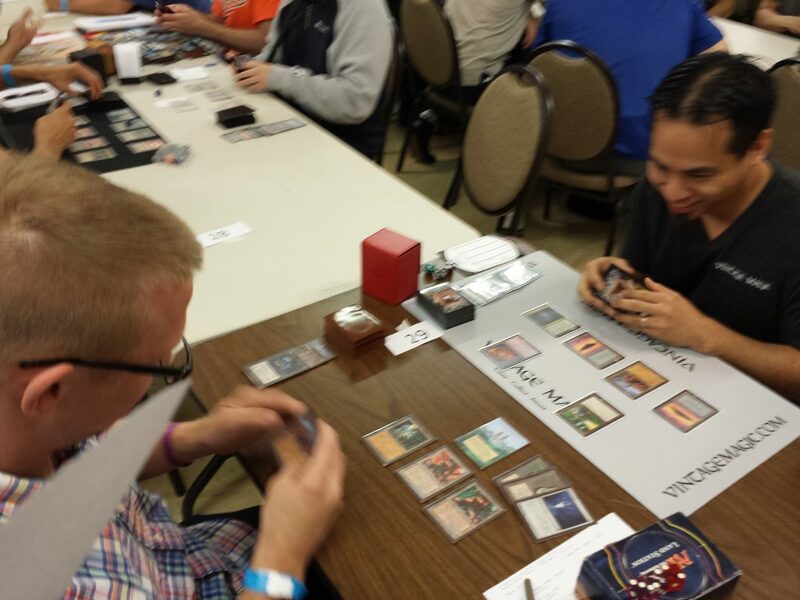 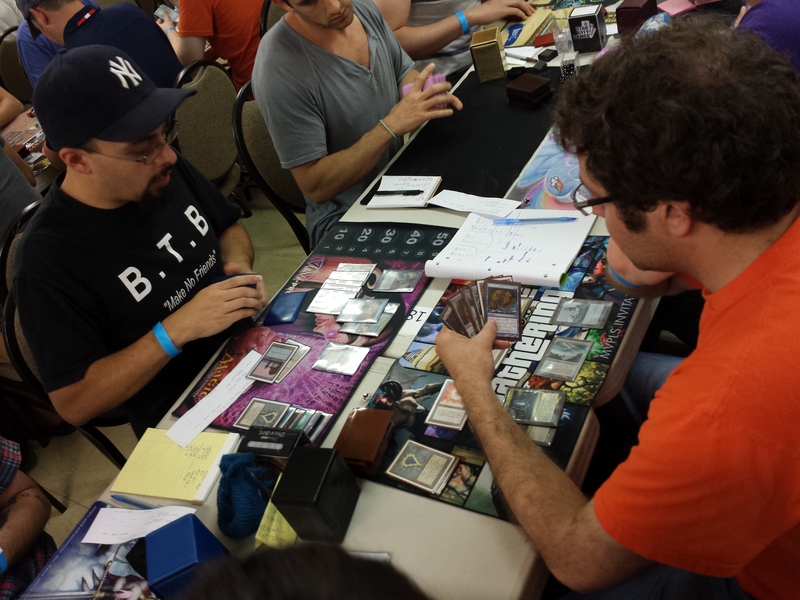 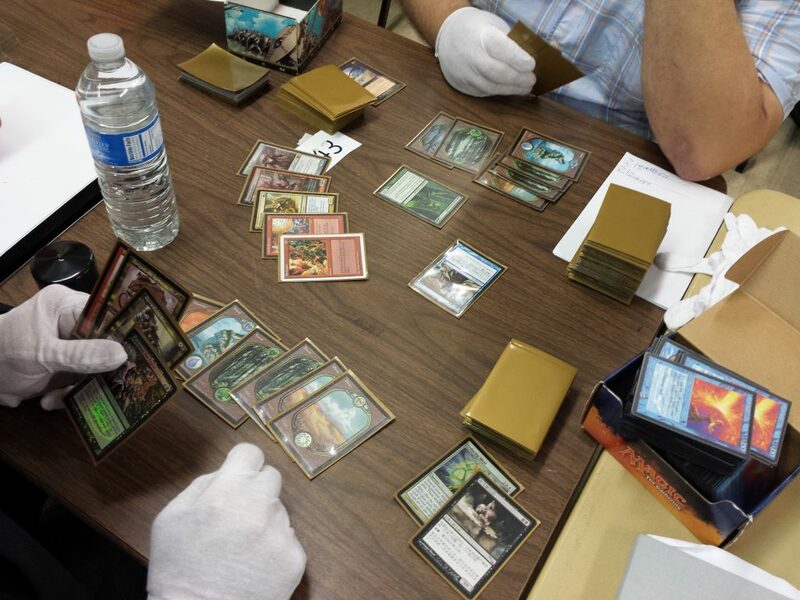 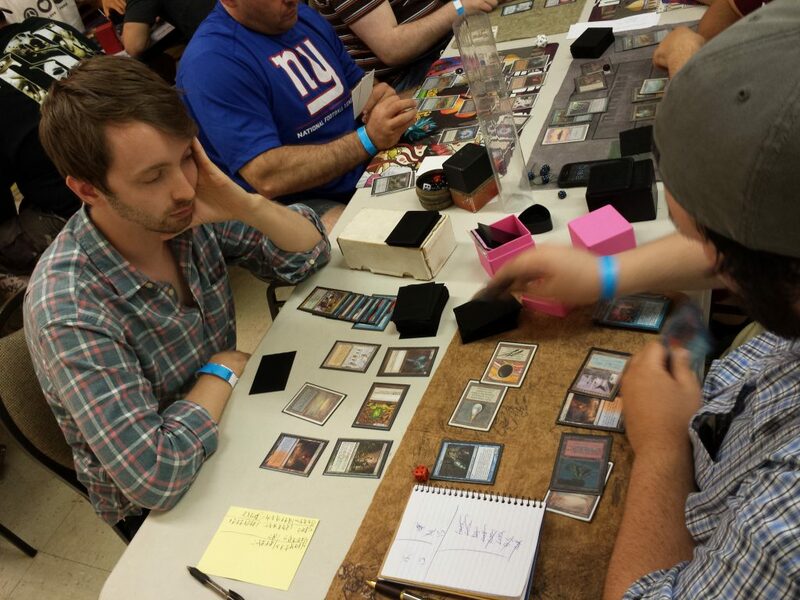 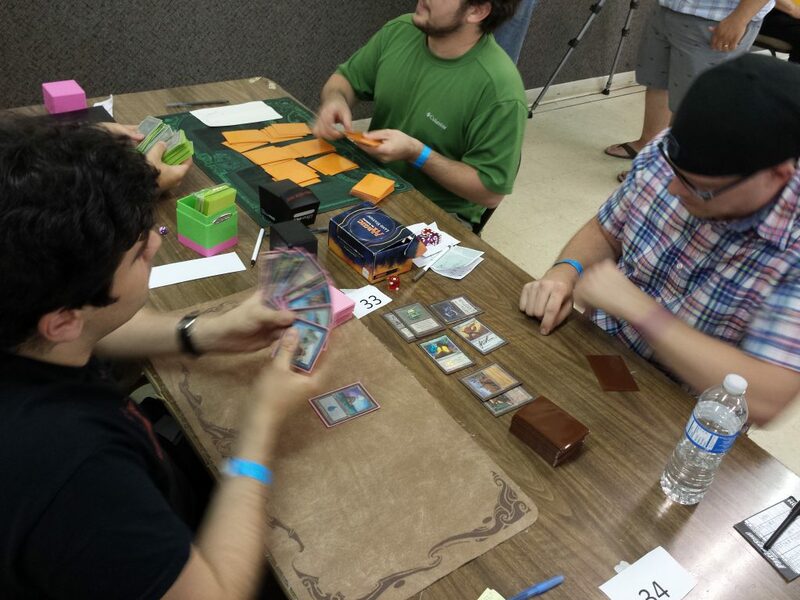 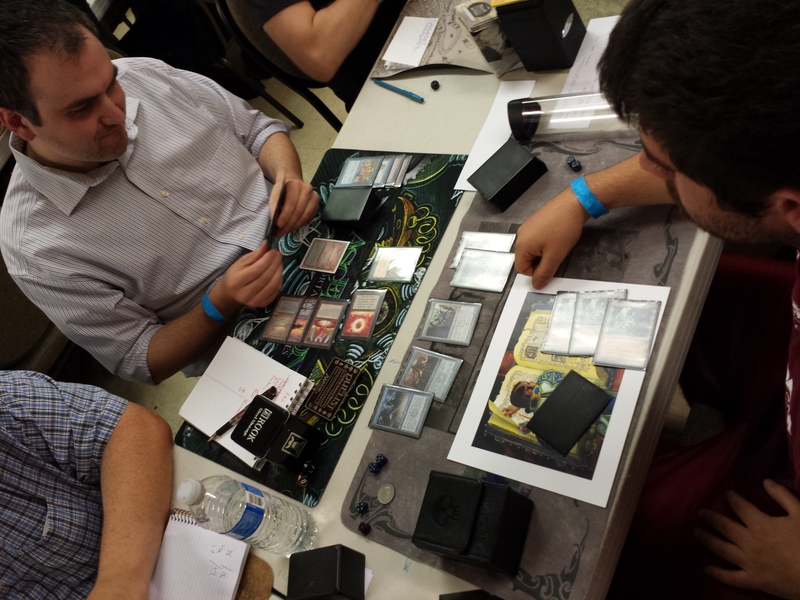 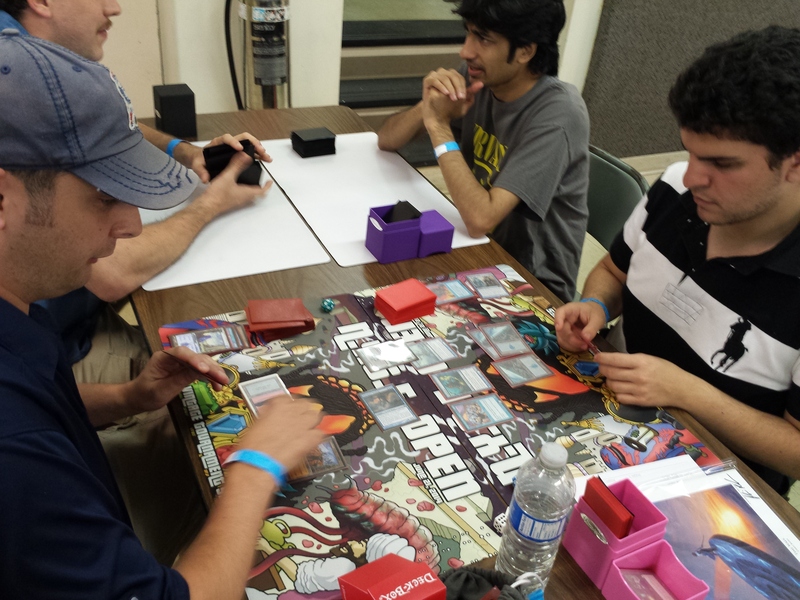 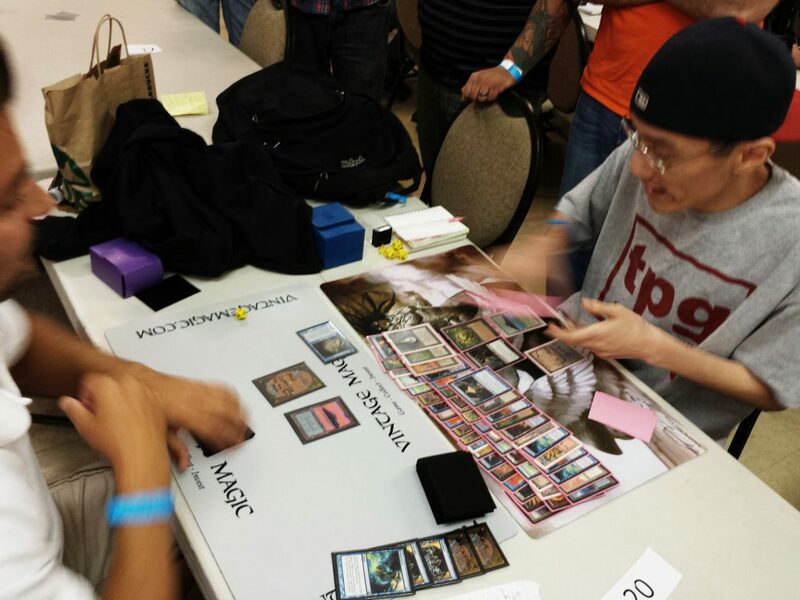 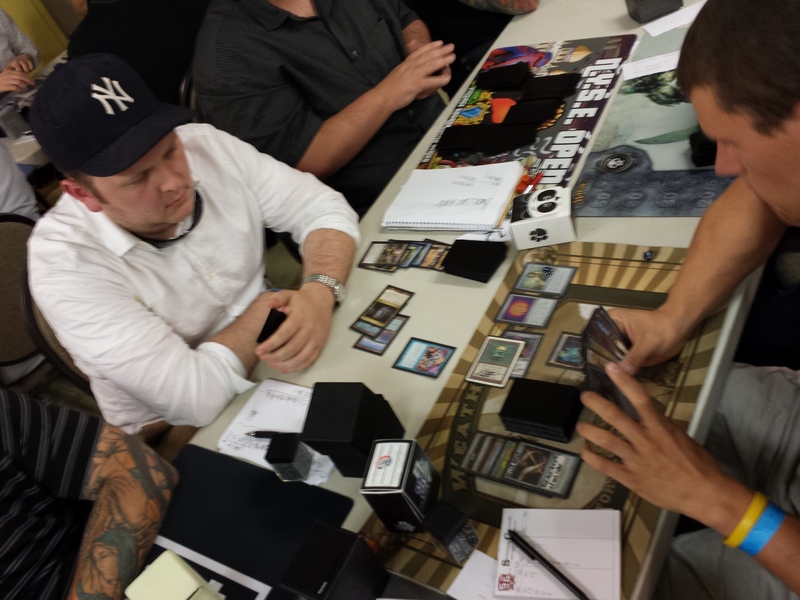 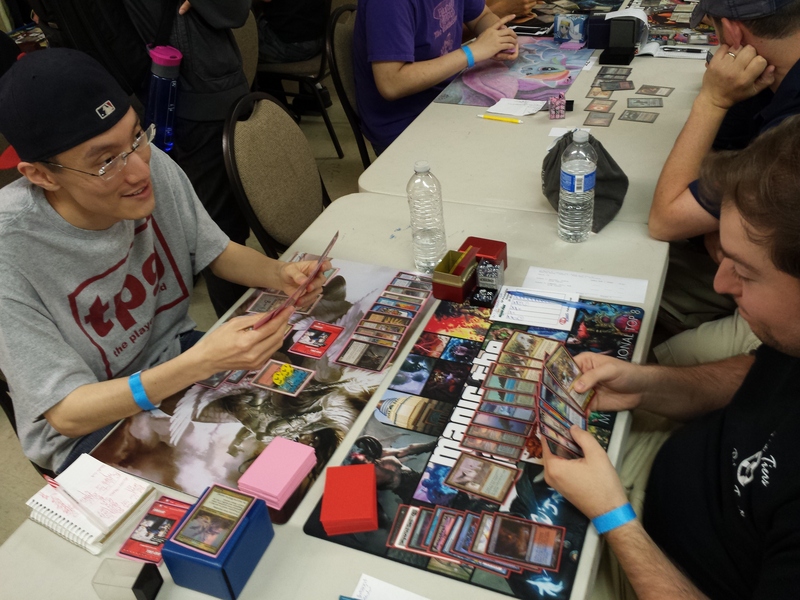 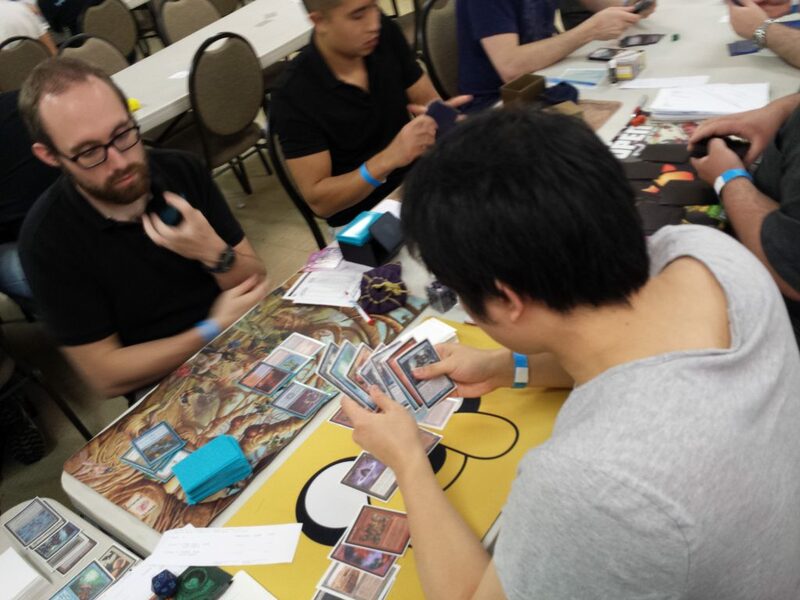 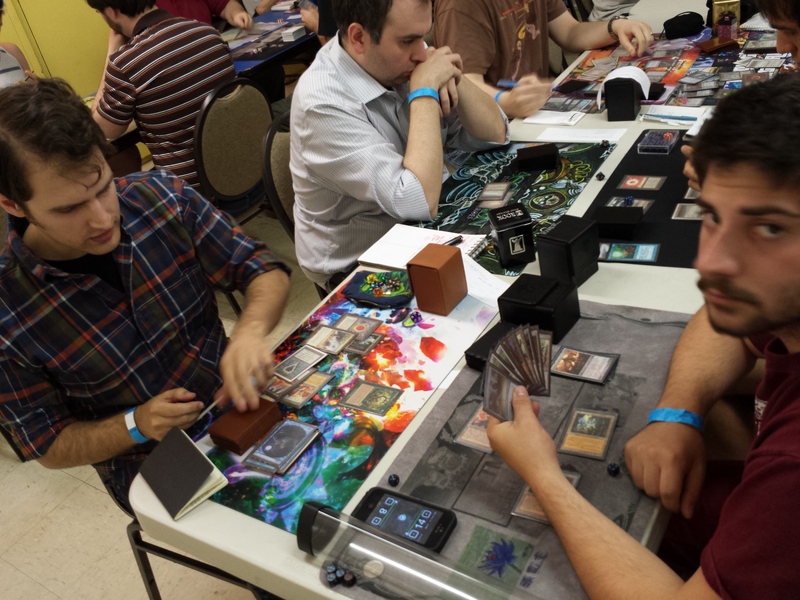 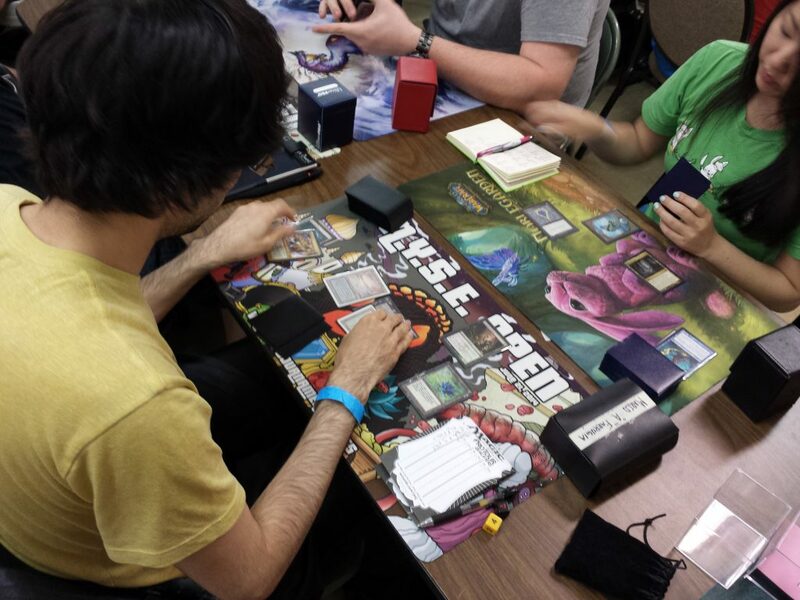 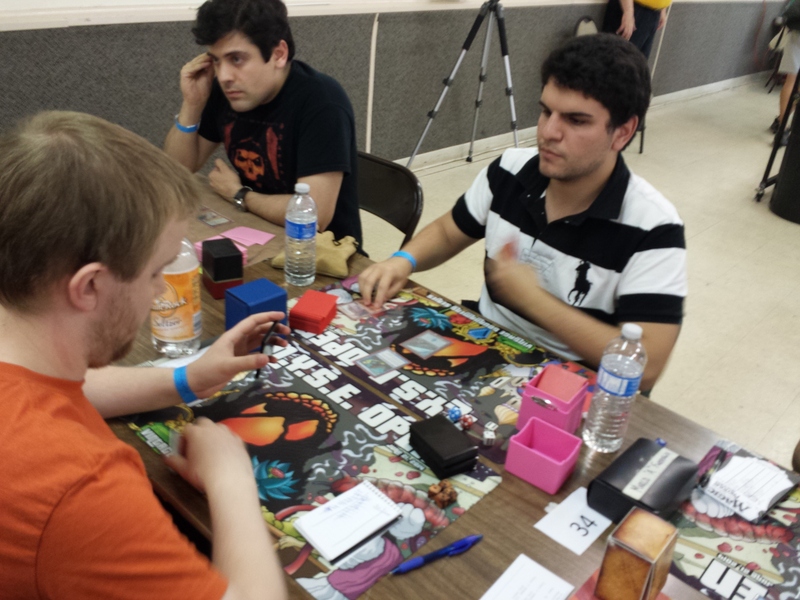 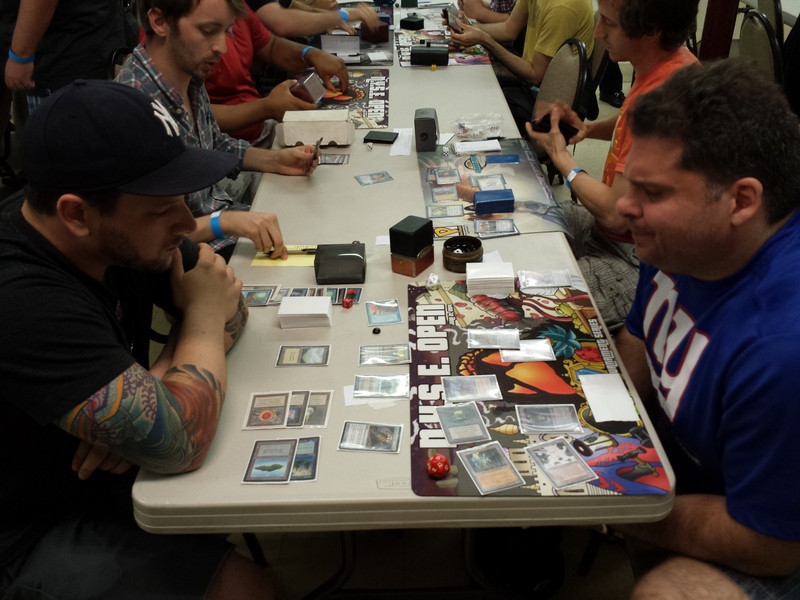 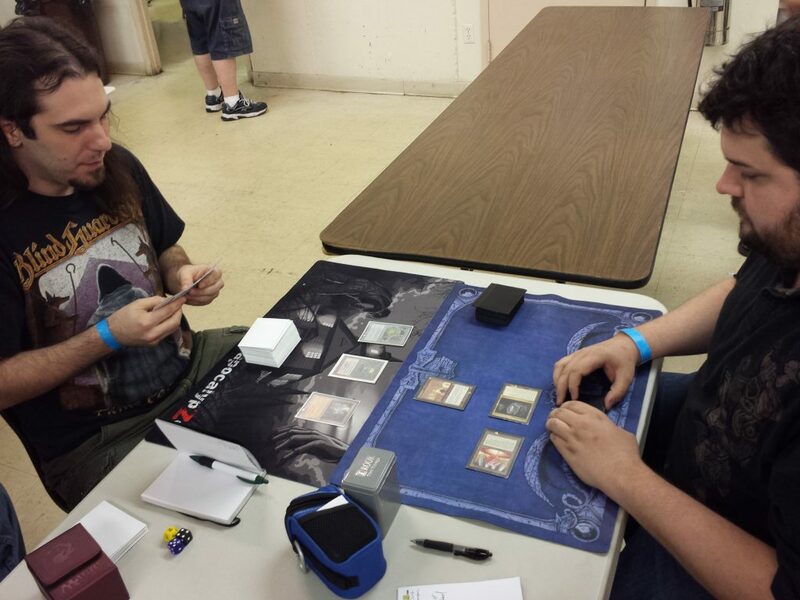 Tables are lined with Alpha Moxen, Beta dual lands, shiny foil Restricted cards, and the latest Vintage technology. 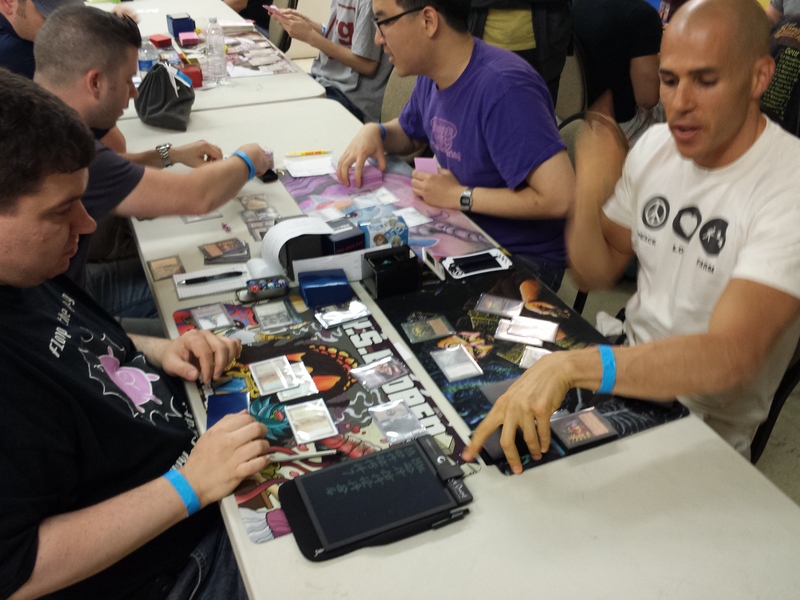 Security at the door and tournament entrance are checking numbered wristbands to ensure that only players and authorized tournament personnel are allowed access to the playing area. 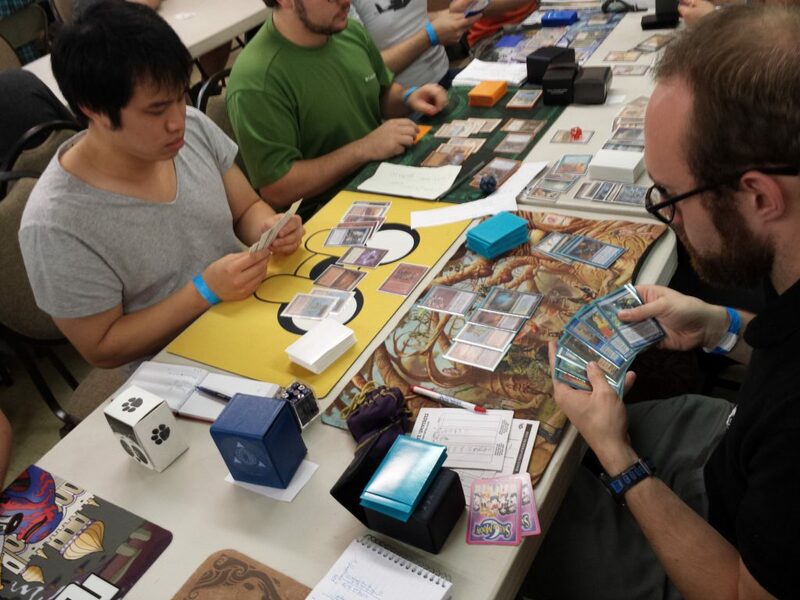 There will be no video coverage of the event (as Internet access is spotty at best), but we will keep this updated as available with photos, pairings, and standings. 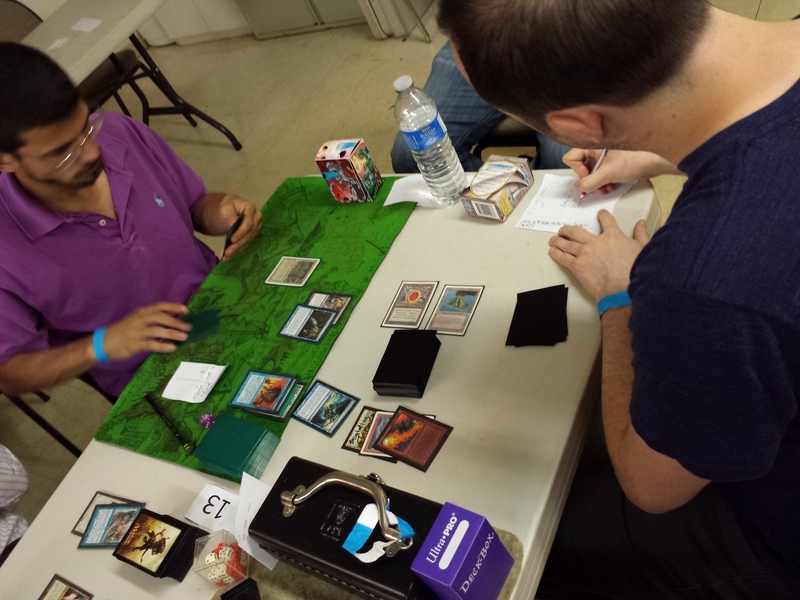 Refresh frequently!